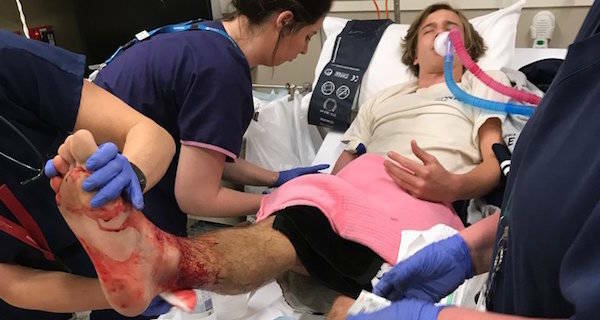 "I walked out and saw what I thought was sand covering my calf and shook it off, and by the time I'd walked across the sand about 20 meters...I had blood all over my ankles." Lice are definitely gross, but they’re not typically thought of as carnivorous machines that leave their mauled victims dripping with blood. At least, head lice aren’t. Sea lice, however, are apparently a different story. 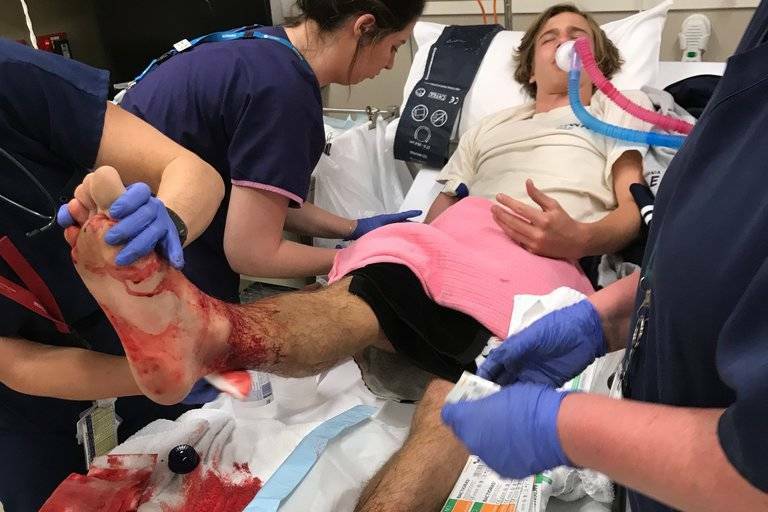 These ocean creatures are the leading suspects in the case of an Australian teenager who stepped out of the water to find shockingly severe injuries on his ankles. “I walked out and saw what I thought was sand covering my calf and shook it off, and by the time I’d walked across the sand about 20 meters to put my thongs on, I looked down and noticed I had blood all over my ankles,” Kanizay told ABC. The family rushed the teen to the hospital, where doctors were unsure what had caused the brutal damage to his legs. They contacted two hospitals about the injuries, but still received no concrete diagnoses. Though sea lice typically stick to a diet of fish and, when they do bite humans, typically leave only tiny, rash-like pinpricks behind, doctors couldn’t think of any more likely culprit for Sam’s cuts. Seeking more definite answers, Sam’s father went back to the bay outside their house to investigate. Using a chunk of raw steak as bait, Jarrod caught dozens of the little creatures. He captured a video of them swarming the meat and sent some off to experts to be identified. Professor Alistair Poore identified the little scavengers as amphipods, not lice, but he wasn’t convinced they had caused Sam’s injury. Personally, I don’t care what it was that turned this guy’s ankles into a scene from a Saw movie. With them, plus two-headed sharks, plus poisonous-jaw-spitting sea urchins around, I will be sticking to swimming pools. Next, read about the Australian man who had his thumb replaced with a toe after a bull attack. Then, check out the glow-in-the-dark “sea pickles” invading the West Coast.